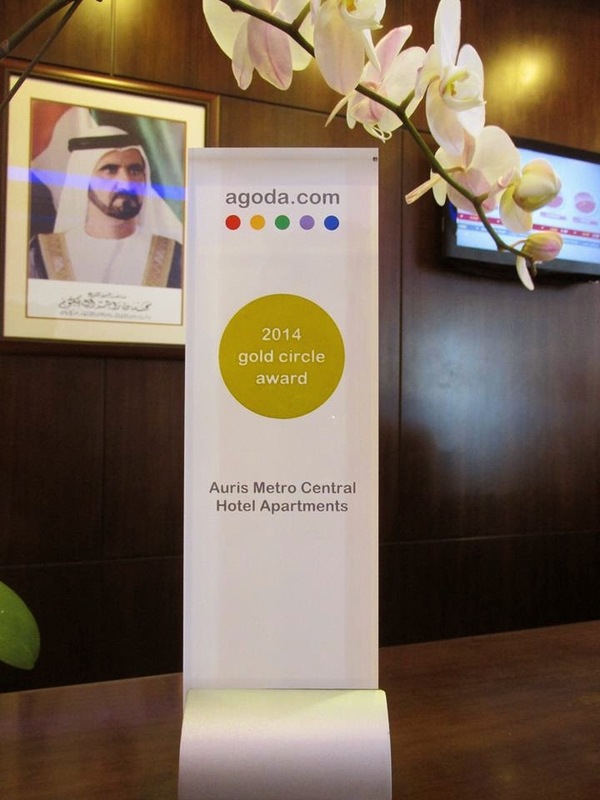 Auris Metro Central Hotel Apartments in TECOM has won the 2014 Gold Circle Award. Auris Metro Central joins 13 other hotels to represent the UAE in the global award which is administered by Agoda and aims to recognize top accommodations around the world that have embodied best practices in the online hospitality industry. The hotel which is in its third year of operations has consistently maintained exemplary standards of service and was earlier in the year recognised for achieving the highest occupancy rates in TECOM. Previous awards include the Trip Advisor's 2014 Certificate of Excellence and a listing in Booking.com's Preferred Properties Programme which highlights properties that offer excellent service and quality in relation to the best available rates. Upon receiving the award, Ms. Birthe Bolz, General Manager at Auris Metro Central thanked her staff for delivering the hotel's promise to the guests; "We are very happy that our guests have recognised and have continually spoken about our excellent service, we intend to keep them happy'' She said. The hotel is in TECOM, adjacent to the Internet City Metro Station and offers 210 apartments.